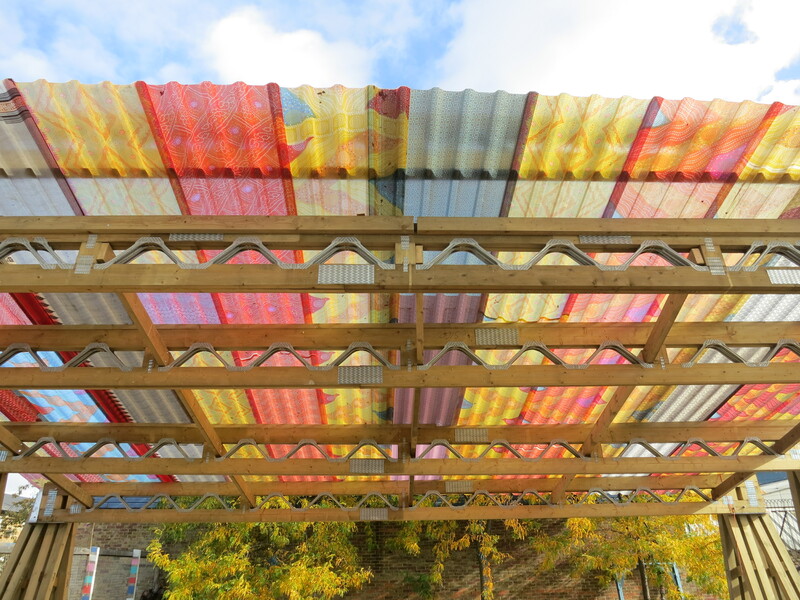 The Canning Town Caravanserai is a new kind of park in East London, inspired by the medieval network of safe, hosted spaces along the Silk Road, which allowed travellers and traders to rest, and so ensured the flow of goods, knowledge and culture between Europe and Asia. In the 21st Century life is very different, yet humans haven’t changed that much. We still need to exchange goods, skills and humour. Today there are separate places for each kind of interaction, as well as rapidly expanding digital channels of exchange. But there is something missing: informal spaces for chance encounters are rare and dwindling. 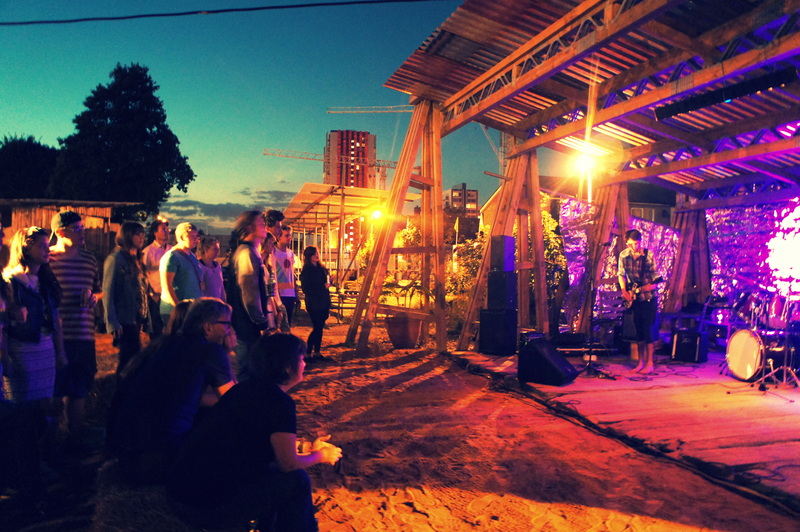 By offering platforms for many kinds of cultural events and commerce, the Caravanserai creates diverse, unexpected opportunities for Canning Towners and travellers from further afield. 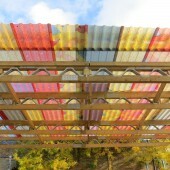 Participants: Canning Town Caravanserai main sponsors are its 100-strong team of volunteers drawn to the Canning Town from all corners of the globe since the beginning of 2012, bringing energy, ideas, creativity and skills, and working sun, rain or shine. 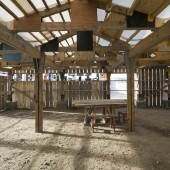 The design of the Caravanserai’s village has developed incrementally out of conversations between the design-and-build volunteers and local community groups, always making something out of what they could find through scavenging and recycling would-be waste materials from local construction businesses. 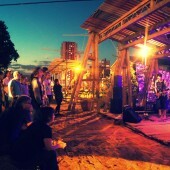 Through this process, the Caravanserai feels homegrown, and has connected hyper local businesses as diverse as scrap merchants and the largest sequin factory in Europe as valued VIP donors and part of the green loop which sees one man’s scrap as another man’s treasure. The project has developed an expertise in second life materials and simple easily learnt construction techniques. This ‘magpie aesthetic’ creates the cultural platform and heterogeneity so important in an area of rapid growth. Local food growers, the kiosk traders, the youth theatre company and steel pan band keep energy levels up on this off grid site. Research Question: How can we invent an architectural and urban aesthetic that relates to the character of informal network building and upcycling construction waste? 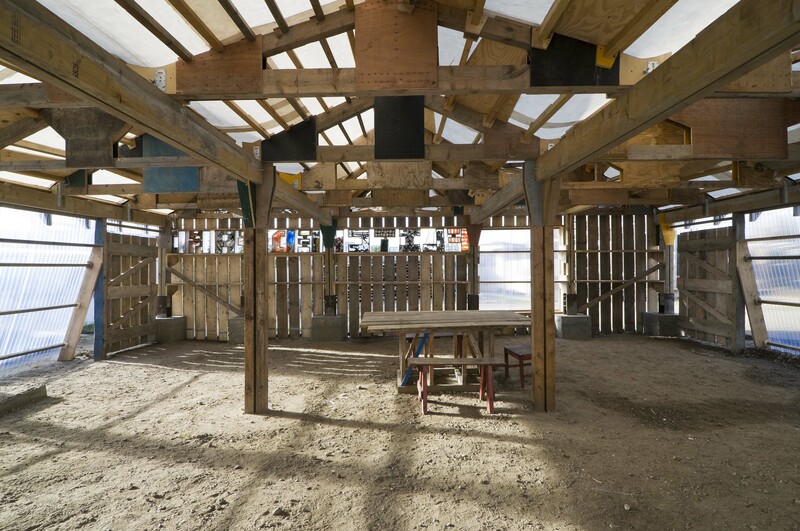 The materials and labour to hand, the weather and other challenges leave their imprint on the architecture, but perhaps frame more powerfully the space for hosting.